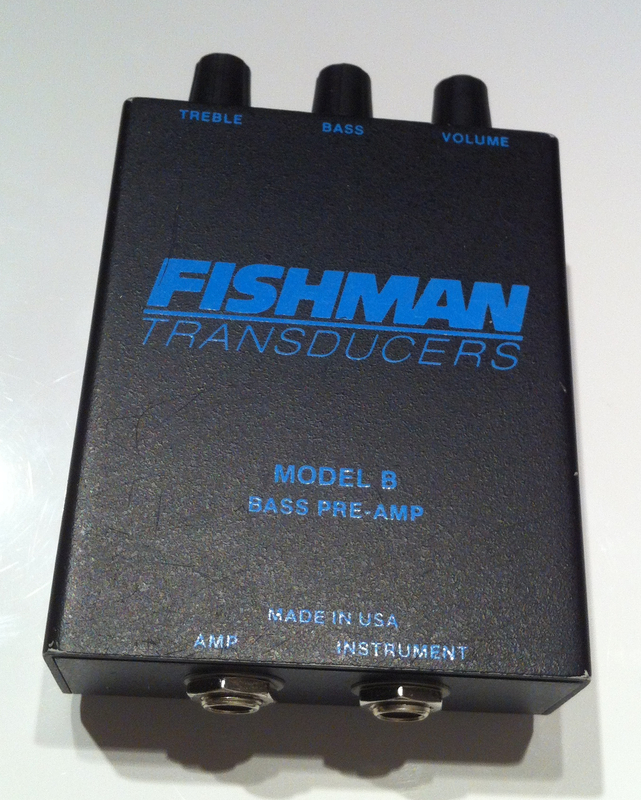 Tips and tricks – amplifying your Ubass! – Play UBass! Tips and tricks – amplifying your Ubass! I have received a couple do questions about how I amplify my UBass. One of the key things to get a good sound it that it’s super important to get a sound that has a lot of low end! The UBass is a really serious ‘low-end-monster’ and much of the greatness (besides playability and portability) is it’s ‘larger-than-body’ sound! So the key to a great sound lies very much in the amplification. I have done a great deal of gigs using the below signal chain with super great results. This is crucial if you want to get a warm, round and full sound! USE A PREAMP! You will definitely get much more greatness out of your UBass if you follow this advice! The little preamp I use right now is a ‘used’ (must be at least 15 years old) preamp designed to be used with an upright bass. It works really well! I’m planning to try out a couple of more pre amps soon for comparison. I’m especially interested in Headway EDB-1 Acoustic Preamplifier I’ve heard a lot about this little acoustic preamp and have got friends using it for acoustic guitar or upright. So it could be the next upgrade in my signal chain. But for now the Fishman Preamp suits my needs. I believe this one should be nice to try as well. < Buying a Kala UBass? If you live in UK/Europe you might want to check this out! Pingback: Jammin’ with my Kala UBass | 14 ”When You Wish Upon A Star” « Play UBass! Pingback: Jammin with my Kala UBass | 15 and UBass Lesson 6 | Song/Style Lesson: Reggae « Play UBass! Pingback: Ubass Preamp ‘Shoot Out’! – part 1 « Play UBass! Could you write a review on your Phil Jones Amp and why you chose the one you did vs the briefcase? Thanks! I’m glad you found my blog/webpage! I have been planning to do a review of the PJB Double Four and compare it to other bass amplifying solutions! Will try to put this together ASAP!